There is not a ton of information on these servers out there, but we wanted to show off what we can of the Aupera AUP2603 solution. 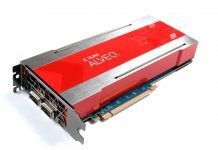 Aupera makes these Xilinx FPGA-based appliances for real-time video transcoding and content analytics. Think of this as a solution for a service like Twitch that has multiple input video feeds that it needs to transcode live to different output formats to match viewers’ screens and device capabilities. 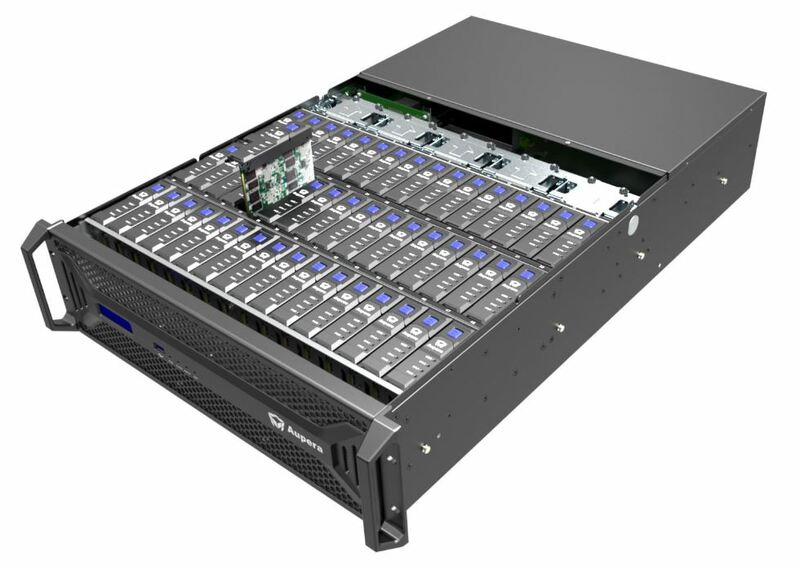 The company also claims that the AUP260x series, when fully populated, handles up to 380 concurrent video streams. The cover image to this article shows the Aupera AUP2603 chassis. Cartridges that you see in the Aupera AUP2603 are for 48x Xilinx Zynq UltraScale+ MPSoC’s. 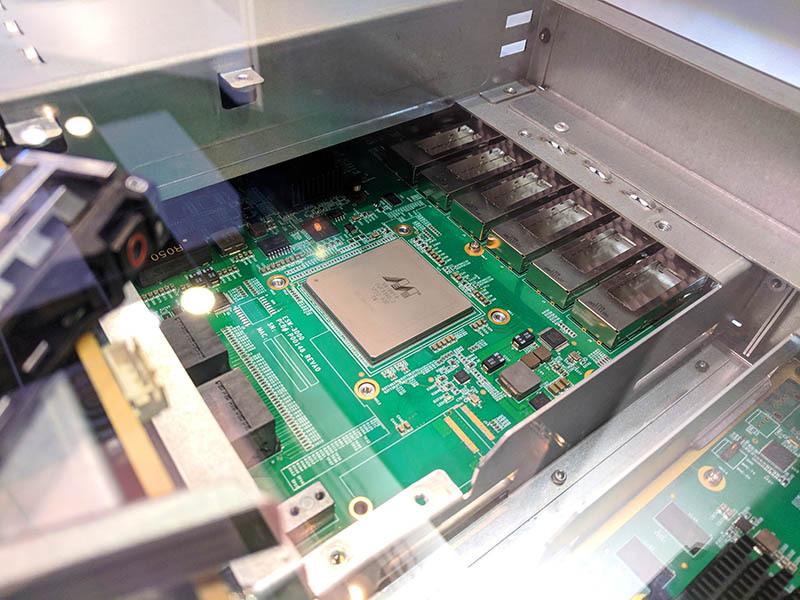 Aupera took a form factor we have seen similar to the HPE Moonshot or even top loading storage JBODs and instead have top loading Xilinx FPGA cartridges. These are not the next-generation Xilinx Versal ACAP modules but it should be an eye-opening glimpse at the future. 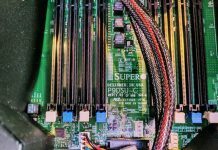 Using the Xilinx FPGA solution, Aupera claims that it can deliver 3.3x better performance while using 1/10th the energy and rack space compared to traditional x86 solutions. For its customers, Aupera sees the other benefit as being able to deliver new transcoding software and new content analytics AI models to the appliances without having to change hardware given the flexible nature of the FPGAs. You may feel like deja vu hearing about Aupera. They have what is, perhaps, one of the worst websites in technology. In fact, it is one of the few company websites that you can visit in October 2018 that is still HTTP only. They have another solution we highlighted earlier this year for storage. 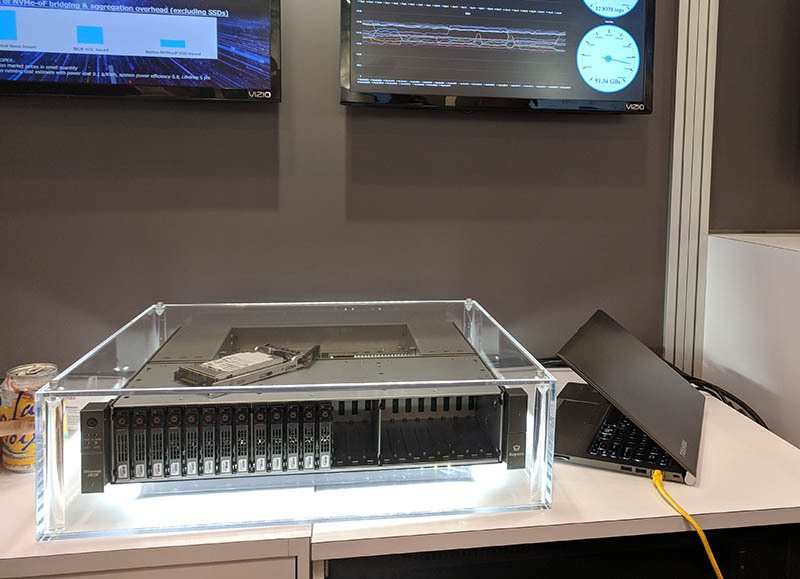 If you read our piece Marvell 25GbE NVMeoF Adapter Prefaces a Super Cool Future you may remember this machine from the Toshiba booth at Flash Memory Summit 2018. This Aupera NVMeoF solution actually places a Marvell NVMe to 25GbE adapter on each drive. It then has internal Marvell switch chips and uplinks to the network. 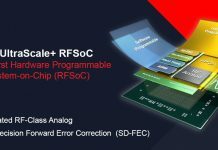 This Aupera / Marvell/ Toshiba NVMeoF demo was easily the highlight of FMS2018 for our Editor-in-Chief, Patrick.